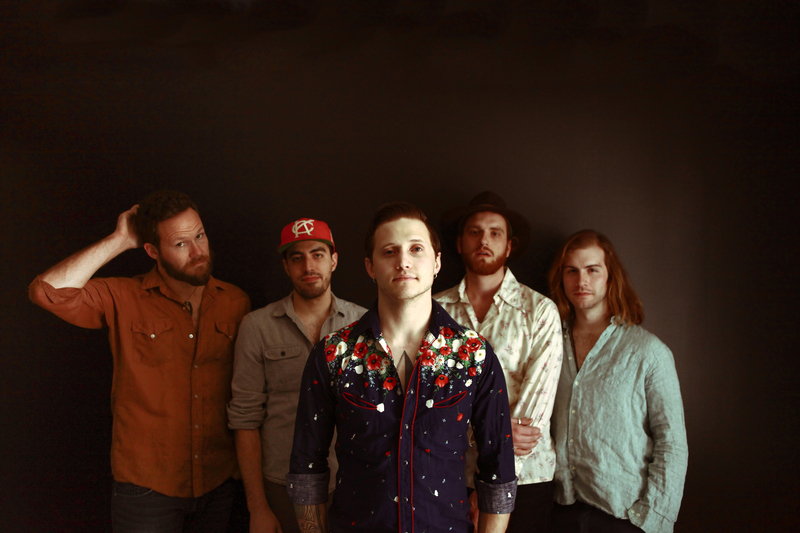 Nashville’s The Delta Saints recently released their first album with Loud & Proud Records titled Bones. The quintet consists of Ben Ringel, David Supica, Dylan Fitch, Nate Kremer, and Vincent Williams. Since their formation in 2008, the band has opened for acts including Blackberry Smoke, Taj Mahal, Dickey Betts and Michael Franti & Spearhead. Prior to joining Loud & Proud Records, The Delta Saints gained plenty of international touring experience and released several records on their own. Their obvious influences include bands such as The Black Keys, Tedeschi Trucks Band, My Morning Jacket, and The White Stripes. The timeless tracks on Bones perfectly balance modern musical qualities and the band’s evident blues and soul roots. Learn more about The Delta Saints and their sophomore full length from Ringel’s responses below. We’re calling it Psychedelic Voodoo Rock. The band started in college, and really grew from there. We pulled double duty (school and touring) until we graduated, and then took it on full time. What made you pick the band’s name, The Delta Saints? It really came out of necessity. We were writing songs and starting to play shows, but had nothing to call ourselves. Our early music was pretty heavily Delta Blues influenced, and I believe we were somewhat intoxicated, so calling ourselves “Saints” was amusing. Thus The Delta Saints was decided upon. We each come from very different backgrounds in music, so making a list of inspirational artists would be extremely long and very random. A few that we as a band share are groups like My Morning Jacket, The Dead Weather, Ryan Adams, The Black Keys and Kendrick Lamar. I think I can say (and all would agree) that it’s generally somewhat of a battle. We all have really high expectations for the music that we put out, and we each bring in different influences. It can be tense at times, but we’ve found that the process really helps refine the songs and the ideas. The music really starts from anywhere. It can be a drum groove or melody in the piano. We all will take that starting point and try to add our own voice to it, and then bring it together and smooth it out. We’re learning to point towards the same end-point, even if we approach it from different places. I write the lyrics, which for this current record, really came after the music was done. When we’re touring we rarely practice. We’re on the road so much so we don’t really need to. When we’ve got some time at home, we’ll usually get together twice a week. From start to finish, how long did it take to create Bones? Bones took about 18 months from writing-pre production to having all of the artwork and packaging completed. Can you talk about the inspiration behind some of the tracks on Bones? “Dust” was based off of a conversation that I had with my grandpa. He was a Kansas farmer and as a kid he lived through the dust bowl. It just sounds like a crazy experience, to be fighting against an angry wind for so long. The lyrics kind of just fell onto the page. Experiences like that are some of the most fun and exciting because your subconscious is essentially steering the ship and you are just holding on. “Butte la Rose” is about a little town in Louisiana that was flooded to help save New Orleans and Baton Rouge during a storm. It was such a mixture of heartbreak and duty, that the people in that town had to accept. The song kind of follows their story. What have you learned since joining Loud & Proud Records? It’s definitely a balance. We’ve done this on our own for so long and controlling every aspect, that when we started working with L&P, it was a challenge to find that balance. So far, it’s proved to be a really great partnership and we’re excited to see where it all goes. We add a few covers to our set most nights. Currently, we’re playing around with “The Chain,” by Fleetwood Mac, and “Paradise,” By John Prine. We load out and head to the hotel. Usually when we get there we drop our bags off in the room and head back down to the van for late night beers and N64 Mario Tennis Tournaments. Apparently this is Rock’n’Roll. Do you have favorite venues/cities because of your extensive touring? If so, what are they? There are so many cities that we have such great feeling towards, that I don’t know if I can say that any one is the favorite. Amsterdam has always been really fun and has always treated us very well. Plus, that city is just a massive party. I’m not really sure. I hope that people hear honesty in our music. We’re trying to make good music and to maintain a sense of balance within our little version of the music industry. Being in a touring band is very much like being in a marriage. I sleep next to these guys more times in a year than I sleep next to my own wife. We’re literally around each other 24 hours a day so I think the biggest challenge is just living on the road and maintaining balance. What can we expect from The Delta Saints in the coming months? We’re touring really hard throughout the end of the year. We’ve been out since July 1st and will go home for a few days before leaving for our first European tour of the year. Hopefully next year might find us in a recording studio again, but we’ll have to wait and see. This entry was posted in Interviews and tagged band interview, Bones, bones album, bones record, interview, the delta saints, the delta saints band, the delta saints bones, the delta saints interview, the delta saints music. Bookmark the permalink.